The term glitch is common in computing, electronics and gaming industries. It refers to a slight and temporary fault in a system. Glitch is not to be mistaken with “bug”, which is more serious software functionality-breaking problem. Glitch is rather mysterious and unknowable inflicted by surprise inputs or stuff outside the code. 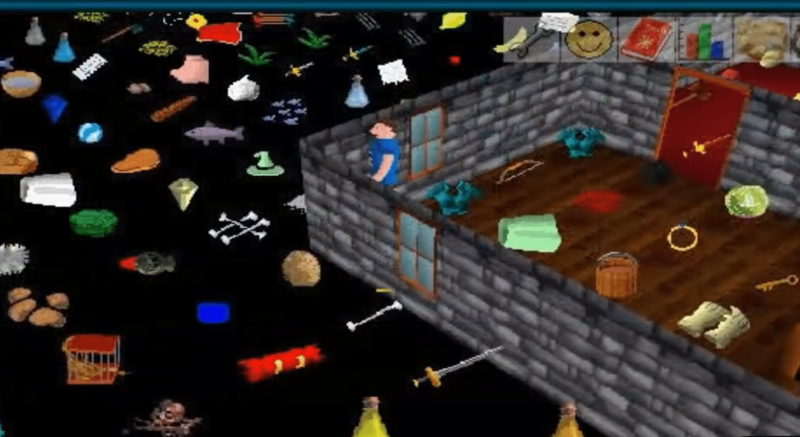 In 2003 some RuneScape players had worked out a way to duplicate or create items unfairly. They were doing this particularly with Christmas-crackers that produce party hats. RuneScape owners offered a reward to the first one who send the an email with explanation of how the object creation was done. This had immediate result that put an end to this glitch. On Easter 2009 when RuneScape PVP world had Drop party, players could get infinite items. So killing each other they could obtain millions of GP’s per hour in statuettes, visage, dragon fire shield, brawler gloves, and other precious drops — yes, tons of RuneScape gold! At some point RuneScape players could spam-click penguins for millions of XP’s or GP’s per hour, making a wealth of RuneScape gold. When the Ring Of Wealth was updated, Corporeal Beast had a 100% chance to drop a sigil. This way for about 1 hour some RuneScape players made many millions of gold in-game by getting dozens of clue scroll elysian and divines — no rollback, nobody punished! When doing While Guthix Sleeps quest, players were able to spam-click the cupboard containing Dagon’hai robes and alchemy them for a big RuneScape profit. This entry was posted in Latest OSRS News, Old School RuneScape, OSRS Mobile App, RuneScape 3 and tagged buy oldschool runescape gold, buy runescape gold, cheap, cheap OSRS gold, runescape 2007, sell oldschool runescape gold, sell rs2007 gold, sell runescape gold. Bookmark the permalink.